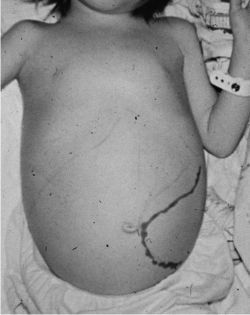 congestive splenomegaly splenomegaly secondary to portal hypertension, with ascites, anemia, thrombocytopenia, leukopenia, and episodic hemorrhage from the intestinal tract. Called also Banti's disease. hemolytic splenomegaly enlargement of the spleen associated with hemolytic diseases of the blood. siderotic splenomegaly splenomegaly with deposit of iron and calcium. /sple·no·meg·a·ly/ (-meg´ah-le) enlargement of the spleen. congestive splenomegaly Banti's disease; splenomegaly secondary to portal hypertension. hemolytic splenomegaly that associated with any disorder causing increased erythrocyte degradation. an abnormal enlargement of the spleen, as is associated with portal hypertension, hemolytic anemia, Niemann-Pick disease, or malaria. Abnormal enlargement of the spleen. Splenomegaly is a major diagnostic criterion of PV. n an abnormal increase in the size of the spleen; often associated with hemolytic anemia, mononucleosis, leukemia, portal hypertension, or malaria. n an abnormal enlargement of the spleen, usually associated with portal hypertension, hemolytic anemia, and malaria. enlargement of the spleen. Is largely without clinical signs but it may be palpated during an examination through the abdominal wall in dogs and cats, rectally in horses and not at all in ruminants. The enlargements may be caused by abscess or neoplasm or there may be a diffuse enlargement caused by accumulation of hemolyzed red cells. in animals, most often caused by splenic torsion. that associated with hemolytic anemia.